Spot On Maids is New Jersey’s most trusted house cleaning company providing outstanding customer service to Middlesex County, Somerset County, Monmouth County and Union County areas. As a busy Mom, Dad and/or hard working professional your time is extremely valuable. 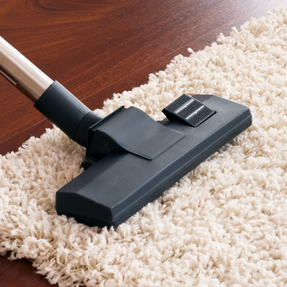 Spending endless hours cleaning may be an inefficient use of your time and energy. At Spot On Maids we want you to leave the cleaning to us, and get back to doing the things you want to do. One of our professional maids will provide you with superior cleaning services that meet your demands when you are ready. A certified (experienced) maid will clean your home to perfection. Sit back and relax. Enjoy your Spotless home. You work hard during the week, and the last thing you want to do is come home and clean. Our apartment and home cleaning services are fully tailored to your needs, allowing you to specify exactly what you would like our maids to clean. Whether you’re seeking a one-time clean or a weekly cleaning service to keep your home in tiptop shape, our house cleaning services are here to get the job done professionally. Our reliable local maid service is backed with a money back guarantee with 100% client satisfaction. Book us today through our 24-hour booking system and get your confirmation within just 30 minutes. Spot On Maids helps you live smarter, giving you time to focus on what’s most important. No more in-home estimates and time-wasting processes. Our skilled professionals go above and beyond on every job. Cleaning Specialists are rated and reviewed after each task. Online communication makes it easy for you to stay in touch with your Cleaning Team. We meticulously screen all of our Professional Cleaning Specialists, who undergo background checks as well as in-person interviews. We bring our own safe supplies. Let us know of any special requests and we’ll make it happen.